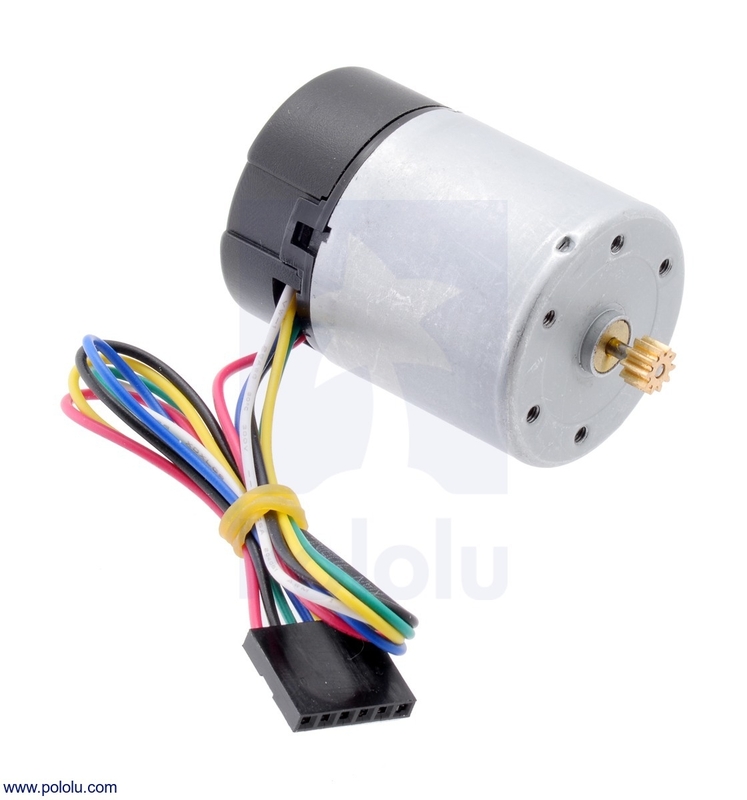 This motor with integrated 64 CPR (counts per revolution) quadrature encoder is intended as a replacement motor and encoder for Pololu 37D mm metal gearmotors. The 2mm output shaft has a non-removable pinion gear that works with all of Pololu 37D mm gearmotor gearboxes. Note that we do not sell the 37D mm gearboxes separately, but if you have a gearmotor with a damaged motor or encoder (or if you want to effectively add an encoder to a version without an encoder), you can transfer the gearbox to this replacement motor. 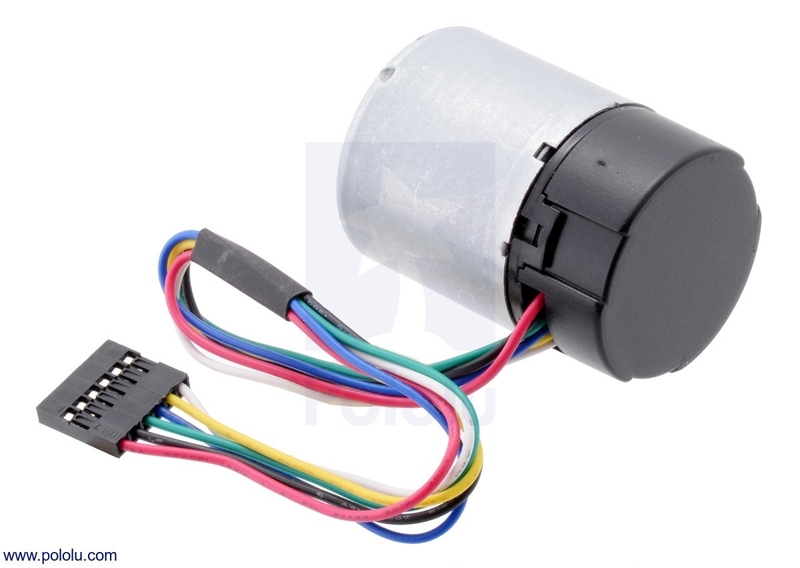 The motor has a diameter of 34.5 mm (1.36 in) and a length of approximately 44 mm (1.7 in) from the top of the motor can to the bottom of the encoder. The top of the motor has six mounting holes evenly spaced around the outer edge threaded for M2.5 screws. These mounting holes form a regular hexagon, with the center of each hole located 13 mm from the center of the output shaft.. The mounting holes have a depth of approximately 3.5 mm.